If you thought overcoming a 4-0 deficit in Los Angeles the night after falling short in an 18-inning, seven-plus hour battle was too much to ask, then you haven’t been watching this team all year. We’ve seen it time and time again. When certain guys are struggling, other guys rise to the occasion. It doesn’t matter if the guys who are struggling are your two MVP candidates. For every J.D. Martinez and Mookie Betts, there’s a Steve Pearce or Mitch Moreland ready to pick them up when things aren’t going their way. Both starting pitchers were excellent in Game 4. Rich Hill allowed one earned run in six and a third and was taken out way too early. Eduardo Rodriguez was about to wrap up his sixth scoreless inning before a two-out Christian Vazquez throwing error gave the Dodgers a 1-0 lead. E-Rod then allowed a three-run dinger to Yasiel Puig before being replaced by Matt Barnes. The score was 4-0 in the sixth, and the Dodgers were 54-0 in 2018 when leading by four runs. That’s a nice record and everything, but it hadn’t been put to the ultimate test. They had never been up by four against the best team in baseball. Moreland with a pinch-hit homer and the Sox are within one!! Let’s go!!! 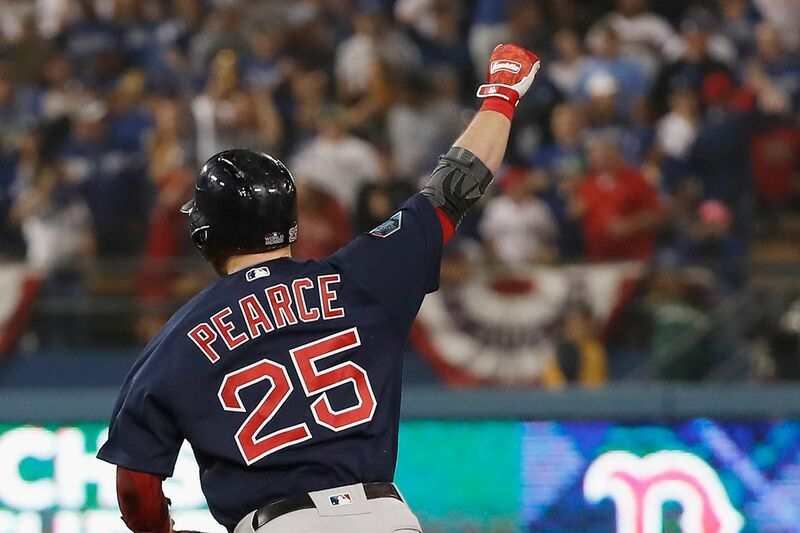 Pearce takes Jansen deep!!! Sox tie it up!!! Dodgers fans are stunned!!! This team never quits!!! Yasiel Puig provided some motivation by showboating after his sixth inning homer. Chris Sale added fuel to the fire by cussing out his teammates in the dugout. Emotions were running high and the Sox were able to channel those emotions and absolutely own the last three innings of this game to grab a 3-1 World Series lead. Time to close it out on Sunday.